John B. 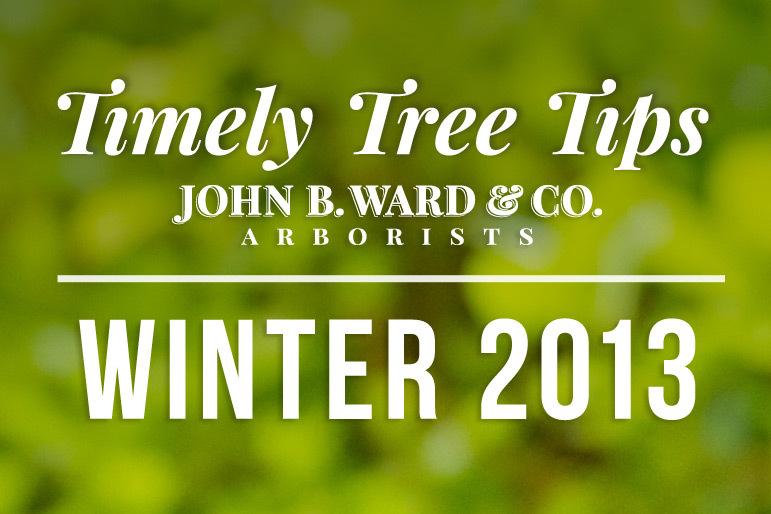 Ward & Co. 2013 Timely Tree Tips | John B Ward Co.
January 01, 2013 by John B. Ward & Co.
As we begin our 55th year in business, I would like to take this opportunity to thank you, our customer, for your continued business and loyalty. It is because of you that we continually strive to improve our company to deliver the highest level of professional services for your trees and shrubs. Below is an interactive pdf of our 2013 newsletter for you to enjoy.